A rare January day: clear, dry and warm with high pressure dominating the entire state of New York. I took advantage of it to fly to the Adirondacks for the first time. 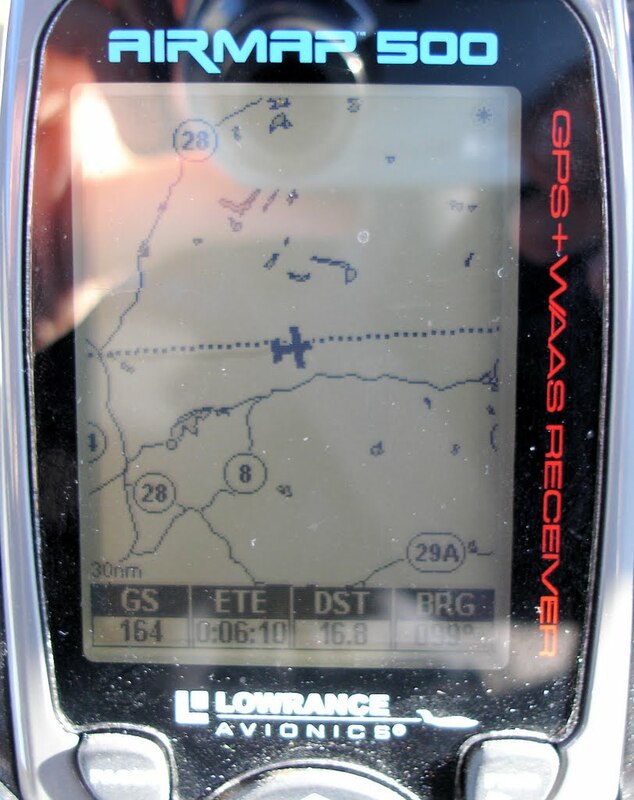 It was a windy day: my ground speed while traveling east was 164 knots (189 mph) at 7500'. Really! I photographed the GPS as evidence. 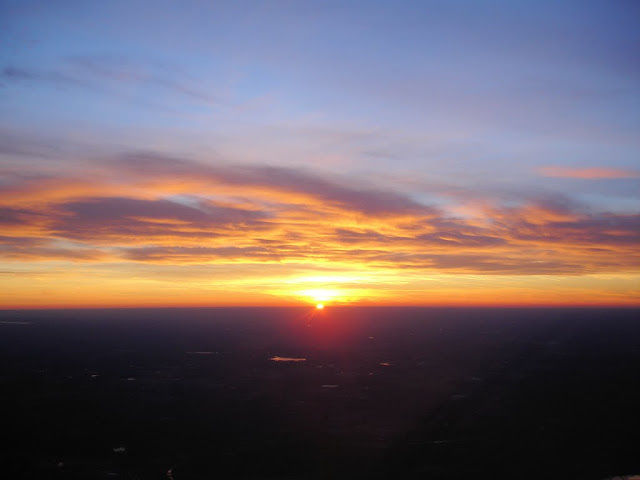 On the first leg of the trip, I entered slow flight and swung the Warrior's nose into the wind. 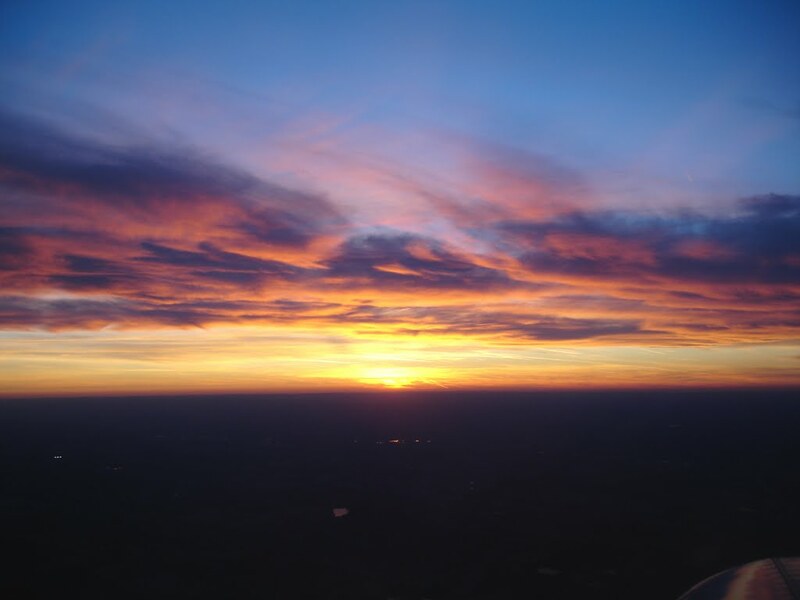 It was my first time ever flying backwards, something I had always wanted to do since learning in ground school that it was possible. I stopped at Oswego County airport on the way out and the way back for fuel. 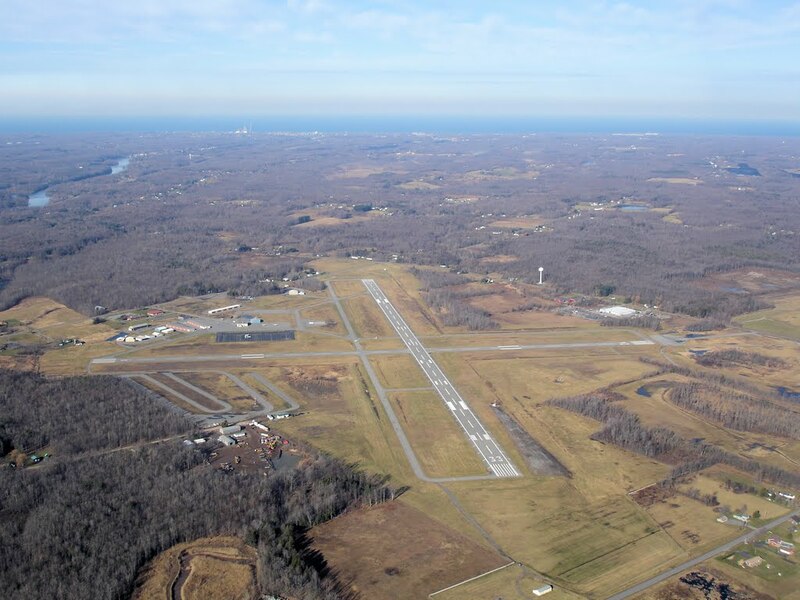 As home to Caroline's Airport Diner, Oswego is a popular weekend destination for New York pilots. 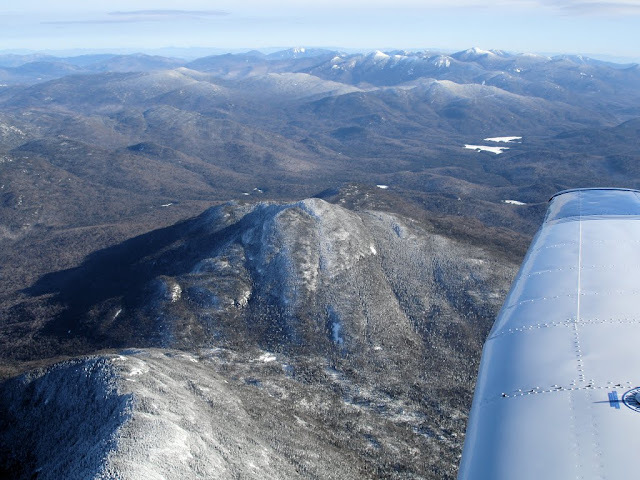 My original plan was to fly to Piseko Airport (K09), a small facility in the Adirondacks due east of Syracuse. I learned from flight service that morning that it was closed - probably because of snow. I flew the planned route anyway and, upon reaching the closed airport, turned north to fly along Indian Lake. 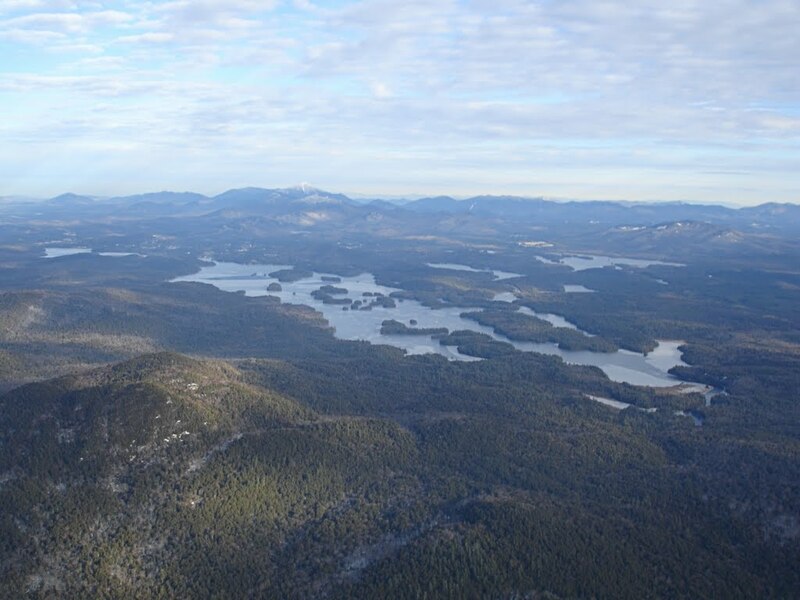 This photo was taken from 6500'. It was a clear day in New York and the contrast in this photo was almost startling to me the when I downloaded it from the camera. The slight color blemish in the lower right corner of frame on the edge of that frozen pond results from a Warrior-induced glory tracking my progress across the ground. 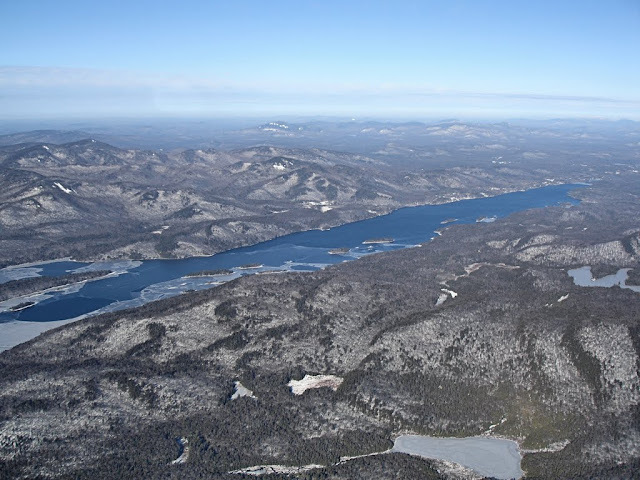 Another view of Indian Lake. Having lived in Michigan for most of my life, I've always been fascinated by water because there was so much of it around. I find mountains fascinating for exactly the opposite reason - their unfamiliarity. With a brisk wind out of the west, I made a point of staying in the smooth air a couple thousand feet above the tallest peaks (using my rudimentary TAWS equipment - i.e., a sectional chart). This was as close to any of the mountains as I dared go. To the east, the horizon was dominated by white topped mountains - an exotic sight to this flatlander's eyes. 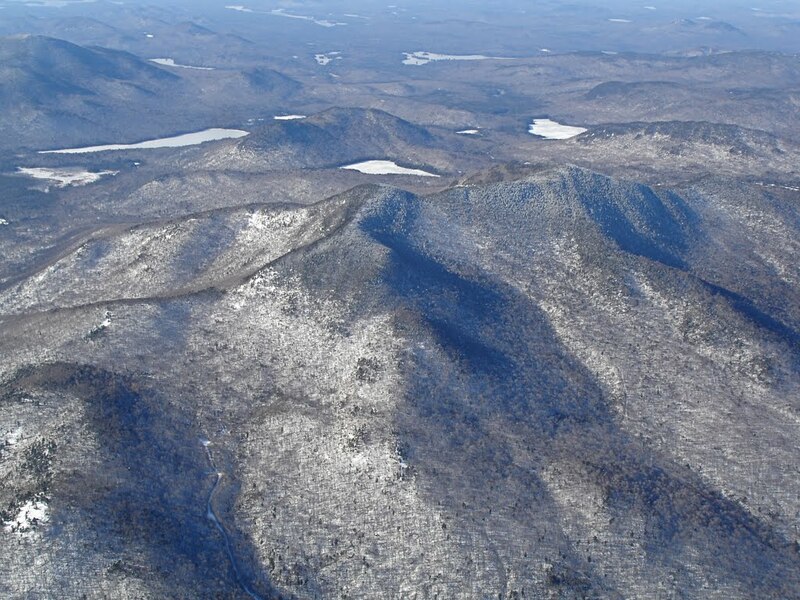 The snowcapped peak in the center of frame is Whiteface Mountain, the fifth highest peak in New York. Near its base is Lake Placid, famous as the home of the 1980 Olympic Winter Games. There's an airport in town, but in order to drop in there I would have had to land in a 20+ knot direct crosswind. I chose nearby Adirondack Regional (SLK, Saranac Lake) instead where the wind was coming directly down the runway. Maybe next time. At Saranac Lake, I had a hearty lunch at Paula's Airport Cafe. Everyone at SLK was very friendly, making it worth a return visit. 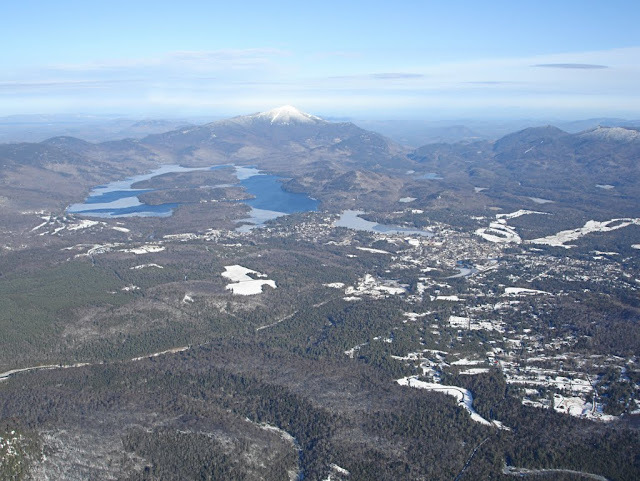 This photo is of Lower Saranac Lake and was taken a few minutes after departure from Adirondack Regional airport. 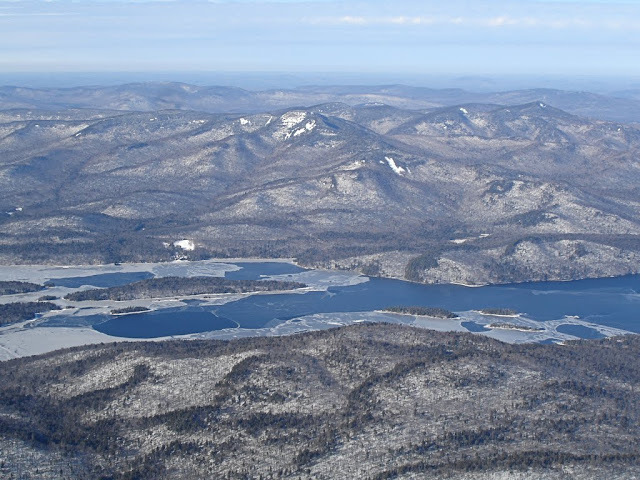 There's a lot of water in the Adirondacks, but I found this lake to be particularly eye-catching. Turning on course for western New York, I found myself to be a victim of the very same wind that sped my journey to the mountains that morning. 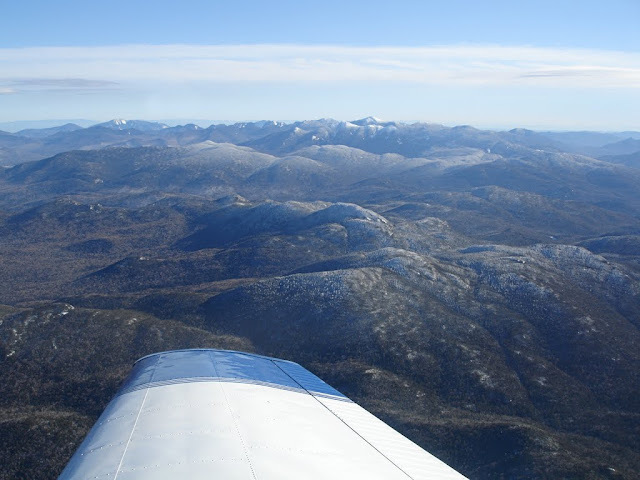 My choices were between a rough ride at lower altitude with less headwind, or a smooth but excruciatingly slow cruise home at higher altitude. I elected to splurge on 100LL and chose the latter. The sun was setting by the time I reached the Finger Lakes region of western New York. I landed at Le Roy under a dramatic sky after a long, but magnificent, day of flying.